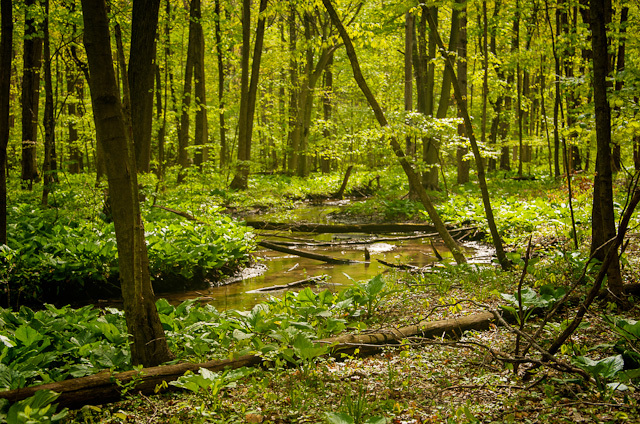 The 384-acre Dowagiac Woods Nature Sanctuary is considered a “crown jewel” of MNA’s sanctuaries. In 1983, the first 220 acres of the sanctuary were purchased from the Joseph Jerue family. After a small 15-acre purchase in 1995, MNA added 151 acres in 2008. These final purchases now make Dowagiac Woods the second largest MNA sanctuary in the Lower Peninsula. The name, pronounced “doe-WAH-jack”, originates from a Pottawatomi Indian word meaning a place where one could obtain all his food, clothing, and shelter. 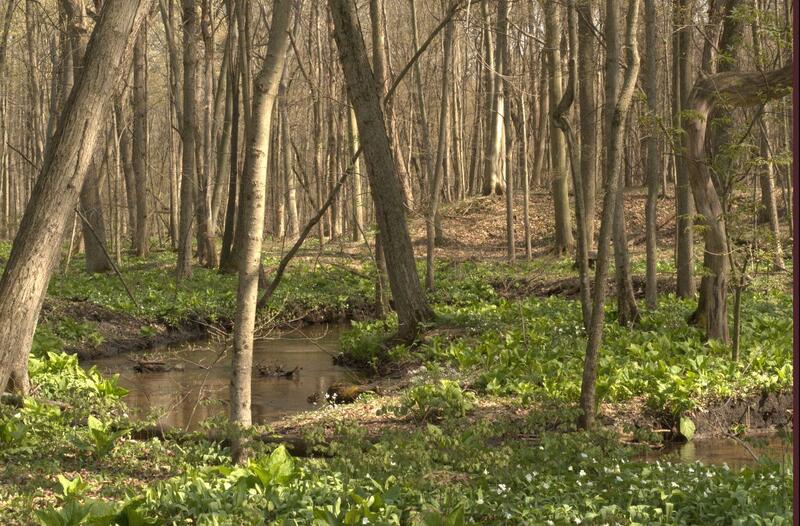 Minimally disturbed since its government patent in 1836, Dowagiac Woods remains true to its name and is regarded as a high quality example of southern mesic forest. Because the majority of the property has never been plowed or clear-cut, the forests serve as a living museum of how Michigan forests looked prior to settlement. The easily navigable 1.5 mile loop trail allows visitors to observe all the sights and sounds Dowagiac Woods has to offer. The path is complete with boardwalks over seasonally wet areas, as well as benches for visitors to relax and take in the beauty. The larger size of the property is essential in maintaining the diversity of plant and animal life found here. A mixed matrix of floodplain, southern-mesic forest, and hardwood swamp allows for nearly 50 species of nesting birds and several reptiles, such as the black rat snake. Along with nesting birds like the barred owl and yellow-throated warbler, neo-tropical migrants use the river and forest habitat. Both first-time guests and regular visitors to Dowagiac Woods will continue to find new discoveries in its impressive diversity. Spring in Dowagiac Woods offers an incredible wildflower display. 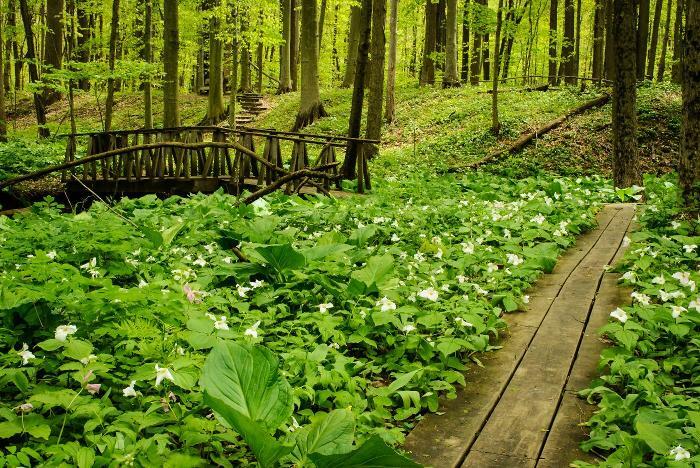 More than fifty species of wildflowers carpet the forest floor, including the blue-eyed Mary, trillium, and dutchman’s breeches. The sanctuary is in Cass County, west of Dowagiac, off M-62. There is a parking area on the north side of Frost Street.